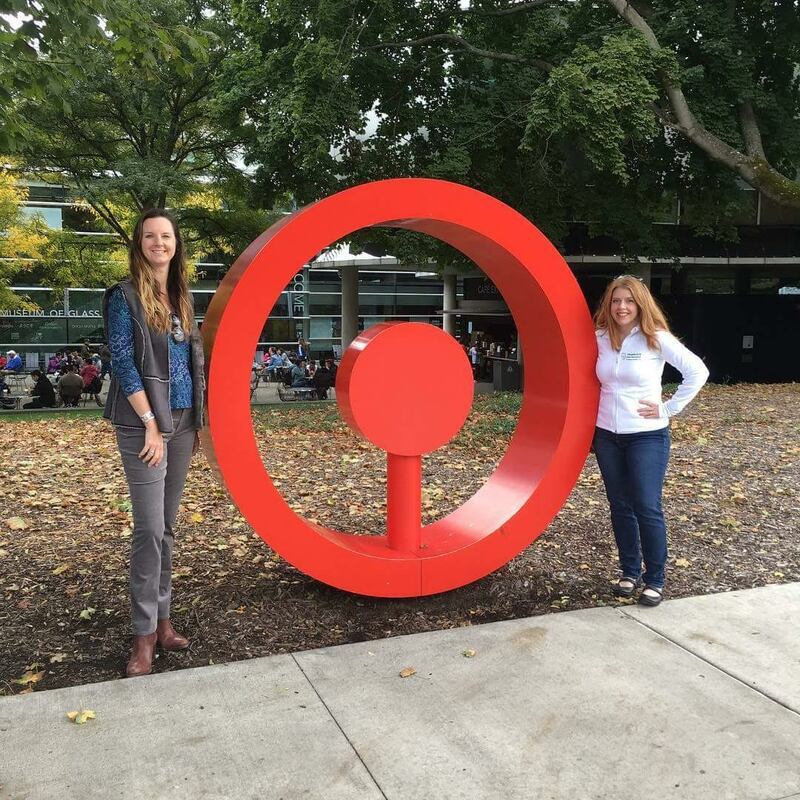 Last weekend, my running partner-in-crime & I headed up to Corning, NY to check out the Wineglass Half Marathon that we’d heard so much about. 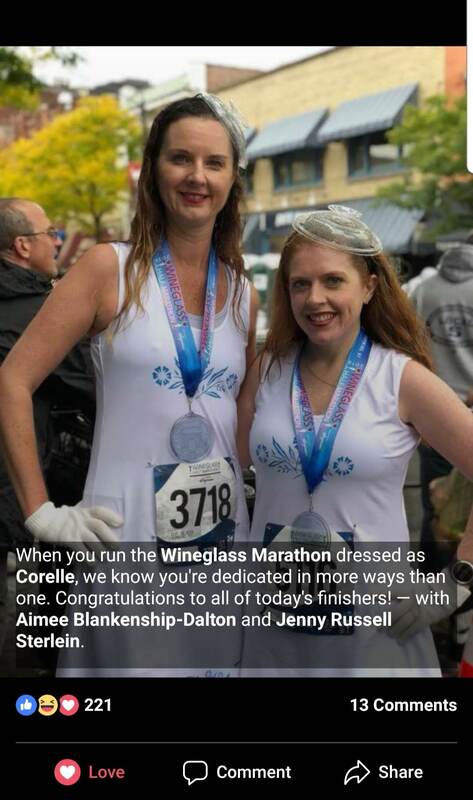 We had heard that it was a pretty flat course, a well-organized race, and you get a glass finisher medal, wine, a wine glass, and a sweet half zip race shirt. Honestly, what else could you want in a race? We headed over to the expo on Saturday to grab our bibs and were pleasantly surprised at all the goodies the vendors gave us! We got free chocolates, local apples, reflective LED bracelets, seltzer samples, plus a drawstring backpack to put it all in. Aimee has family in the area and they were so sweet to host our whole gang for the weekend. It really saved us a ton on hotel rooms and was way more fun anyway. They only live a few blocks from Market Street in Corning, so her cousin took us downtown at 6, which was plenty of time to catch our bus to the start. 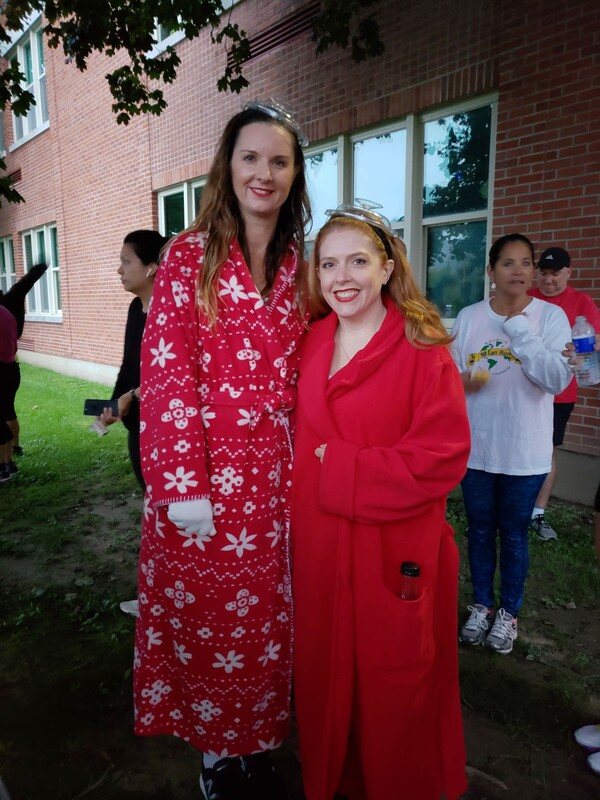 The bus dropped us off at the school in Campbell just as they were kicking everyone out to go line up at the start line, so we hung out under a tree in the (10% chance of rain!) downpour. 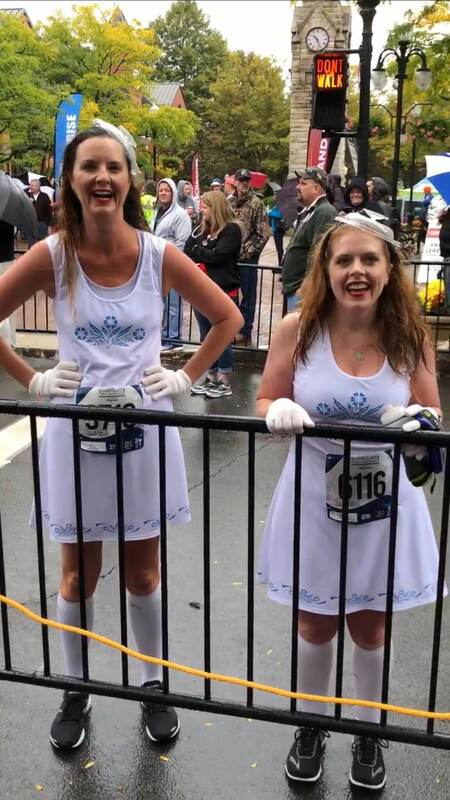 And it rained the entire race. Most of the race was pretty quiet mountain scenery, but there were a few places along the way with cheering stations. 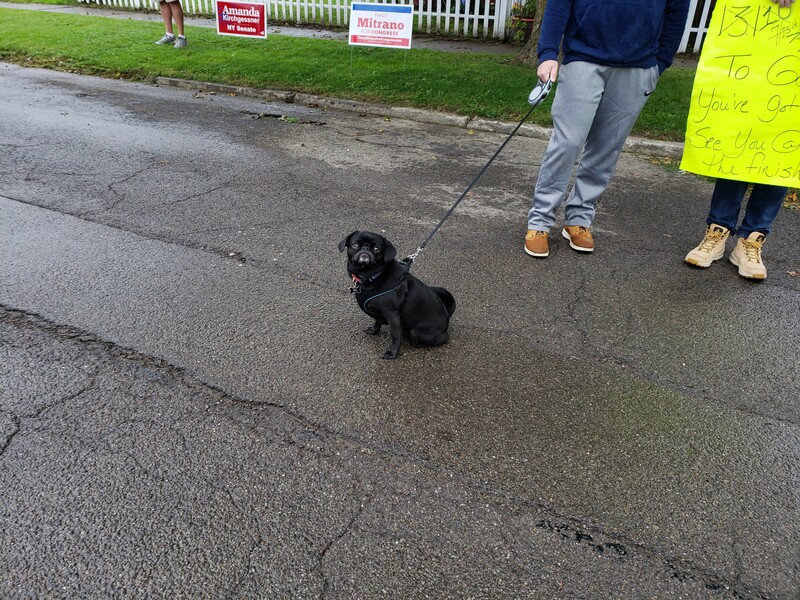 This little pug should have gotten a medal for cheering because we saw him at least 5 times. 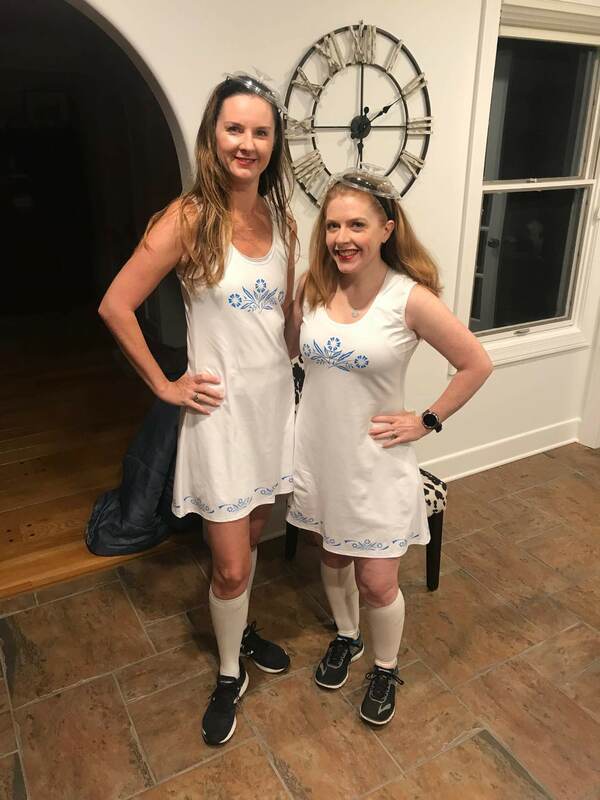 Neither of us can remember which one of us came up with Corningware for our running costumes, but boy was it a hit! We got lots of love the whole day which was so fun. It ALMOST made us forget about the rain and the fact that we were soaked and freezing. Almost. 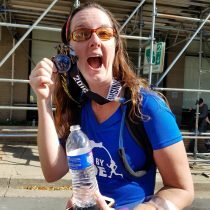 We even made the local travel blog’s Facebook page, and he totally nailed my outlook on racing. 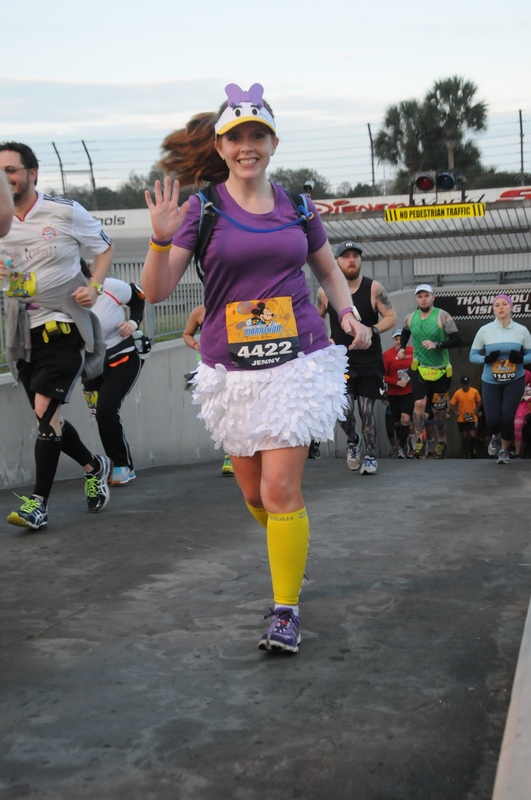 Overall, I’d say that everything we heard about this race was completely true. It was very well-organized (other races could learn a lot here), scenic, flat, and fun! The town of Corning is so charming & welcoming to all us crazy runners. I think we’ll definitely be doing this one again! 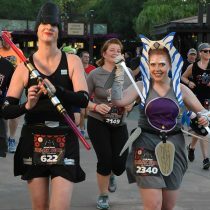 This entry was posted in costumes, races, Running, sewing, travel.